Spring time is our main season and we are open from the tail end of March through the Fourth of July but Shady Hill Gardens is also open from Labor Day through October with fall plants for sale including mums, and many other autumn plants, as well as our Pick Your Own Cut Flowers. If for any reason you have any questions or comments about our fall plants that are for sale, feel free to give us a call at 630-365-5665 or fill out the form to the right and a representative will respond shortly. Shady Hill Gardens has a wide variety of fall plants that are always high quality and our friendly, knowledgeable staff will be happy to help you. 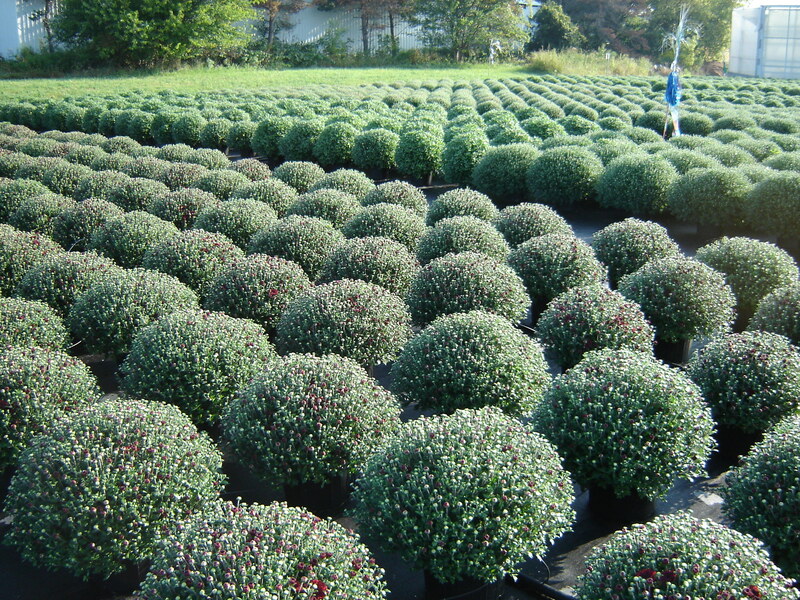 Our fall plants that are for sale will make a beautiful addition to your home or business. Our mums are a big hit during our fall season. Our famous geraniums draw gardeners from all over the Chicagoland area. Shady Hill Gardens has been supplying home grown plants since 1974 and our fall plants this season will take your breath away. When the end of November rolls around, our greenhouses get jam packed with colorful poinsettias in many colors and sizes. Our fall plants for sale will definitely brighten up your yard this season and will last for years to come. If your planters need a little sprucing up, just remove some of the more tired looking plants and replace them with something fresh that will last through a frost or two. If for any reason you have any questions or comments about our fall plants that are for sale, feel free to give us a call at 630-365-5665 or fill out the form to the right and a representative will respond shortly.